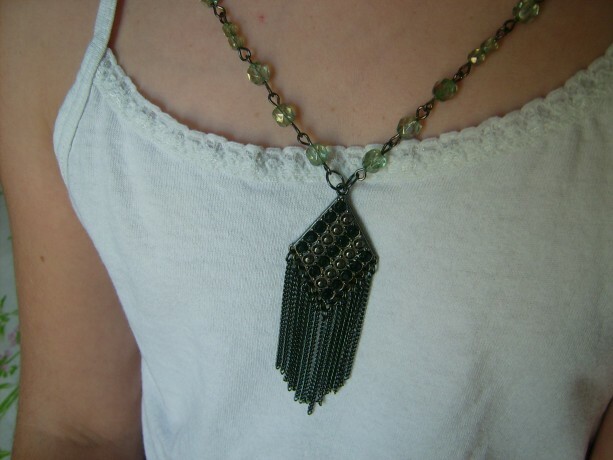 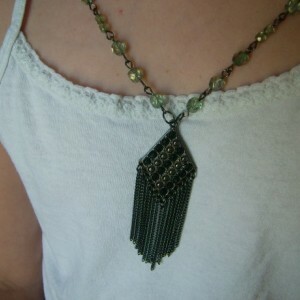 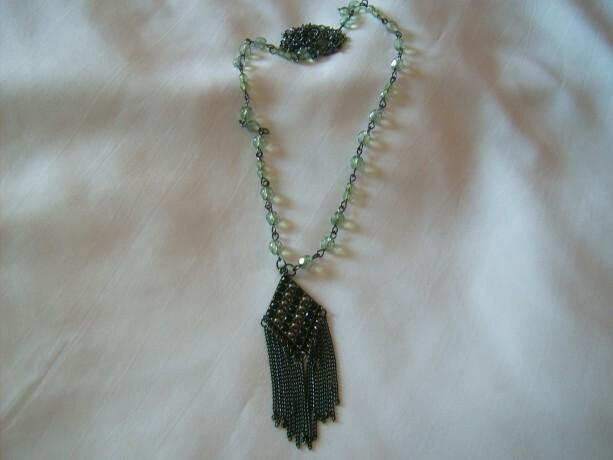 The Smoked Fringe pendant necklace is made of beautiful Czech glass smoked olive hued beads. 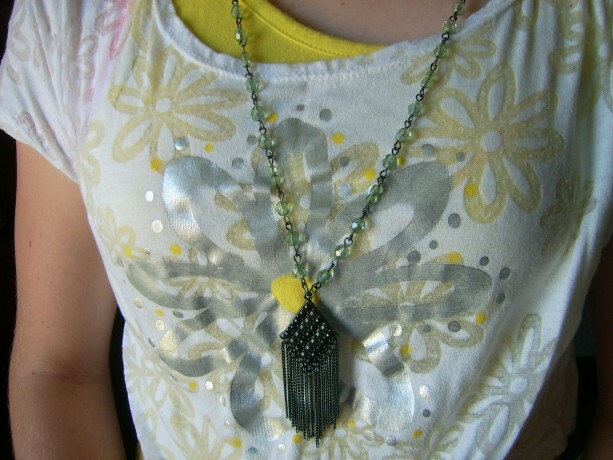 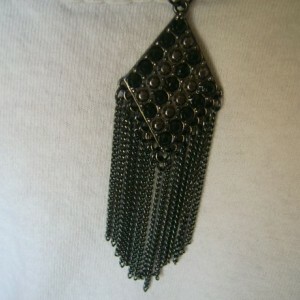 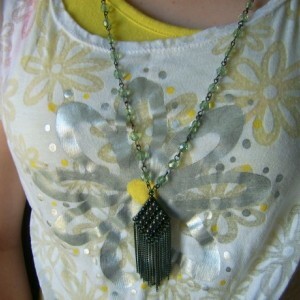 The pendant is in a diamond shape with chained fringe in gunmetal. 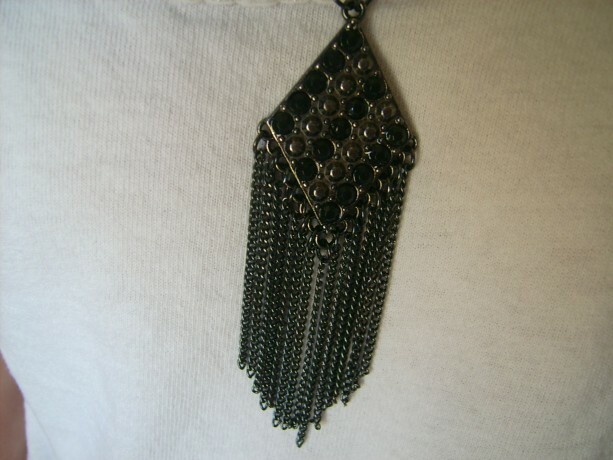 The glass bead and gunmetal chain measures 28.5 inches long and the fringe pendant measures an estimate of 3.5 inches long dangling. 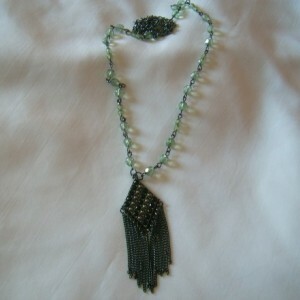 Lovely piece when you looking for a longer necklace to nestle in your bosom.